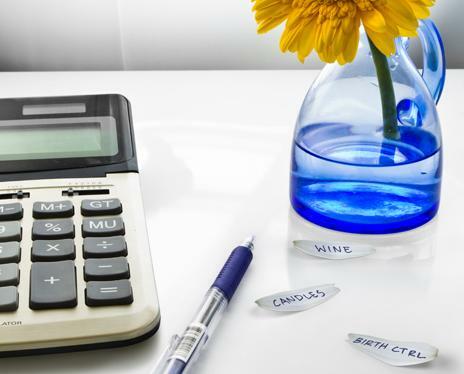 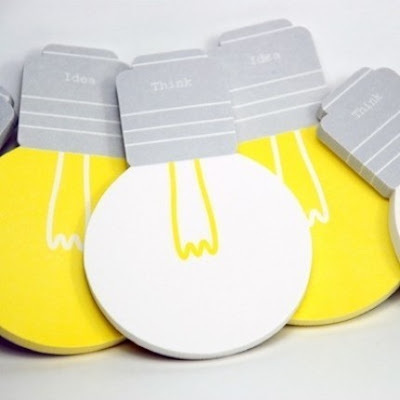 Had enough of the ordinary sticky notes stuck all over your desk? 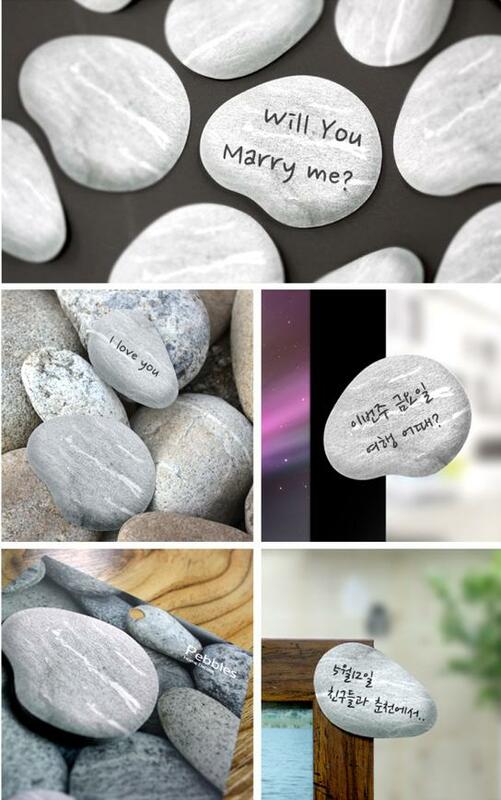 Now check these out! 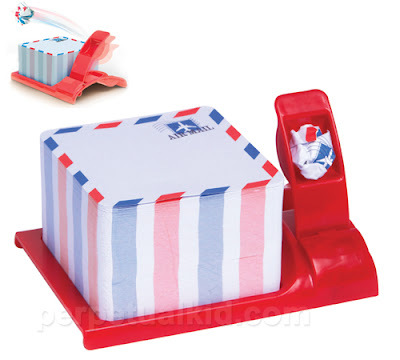 Air Mail Notes: This cool set of mail themed notes sit on a stand. 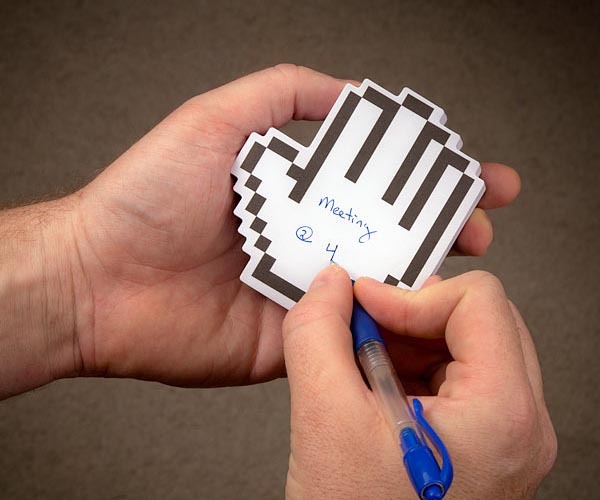 8-Bit Hands Sticky Notes Pad: Each note pad features 8-bit styled hands design, measures 3.75 x 3.38 x 0.75 inches and comes with 200 sheets per pad. 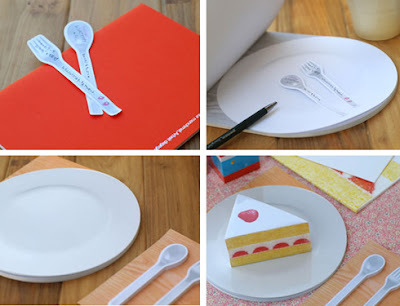 Cutlery Sticky Notes: Sticky notes shaped like cutlery. 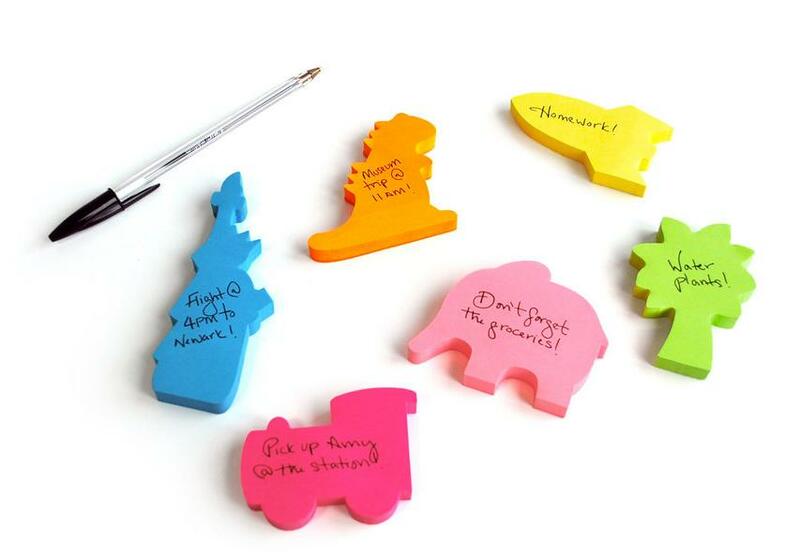 Mega Silly Notes: The notes are a collection of sticky notes shaped like the most unrelated items we could think of; the shapes include: elephant, spaceship, dinosaur, tree, and train. 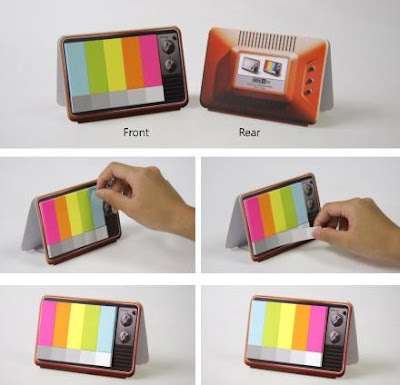 Mini TV Sticky Notes: Retro TV shaped pad with small sticky notes resembling a TV color test pattern. 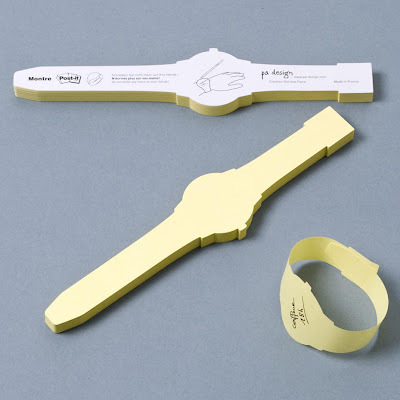 Watch Sticky Notes: Write on these sticky notes and stick it around your hands as a watch or a bracelet. 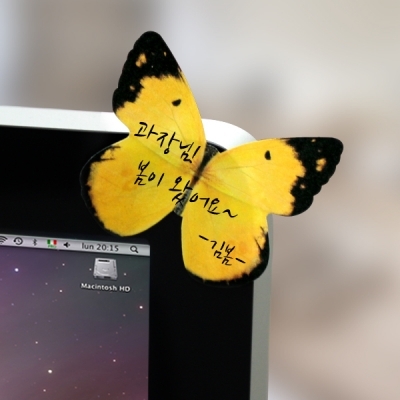 Forget Me Notes Sticky: These sticky notes come in the cool shape of petals. 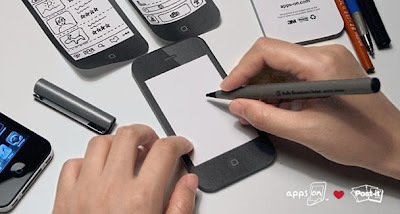 iPhone Post-it Notes: These Apps-on are Post-its that look like the iPhone 4. Selifusen Post It Notes: Sticking these speech bubbles is fun. 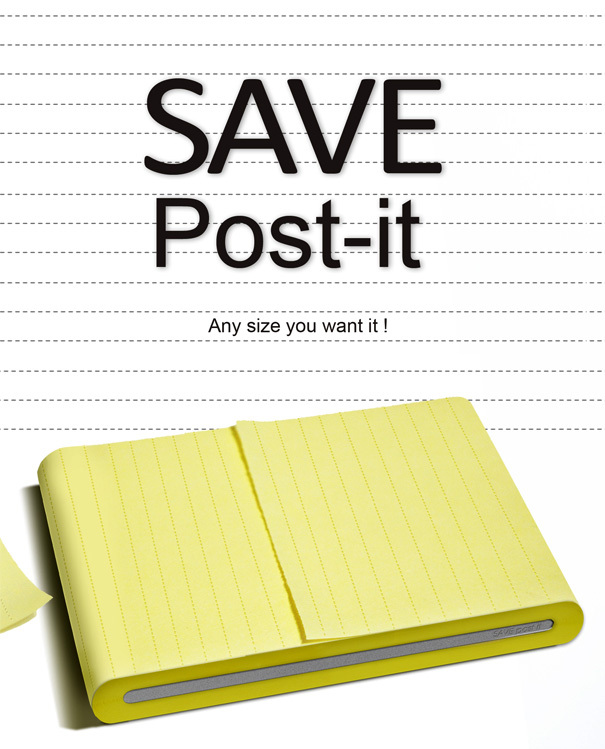 Cool Post-It Notes: Tear off how much you need, and leave the remaining for later use. 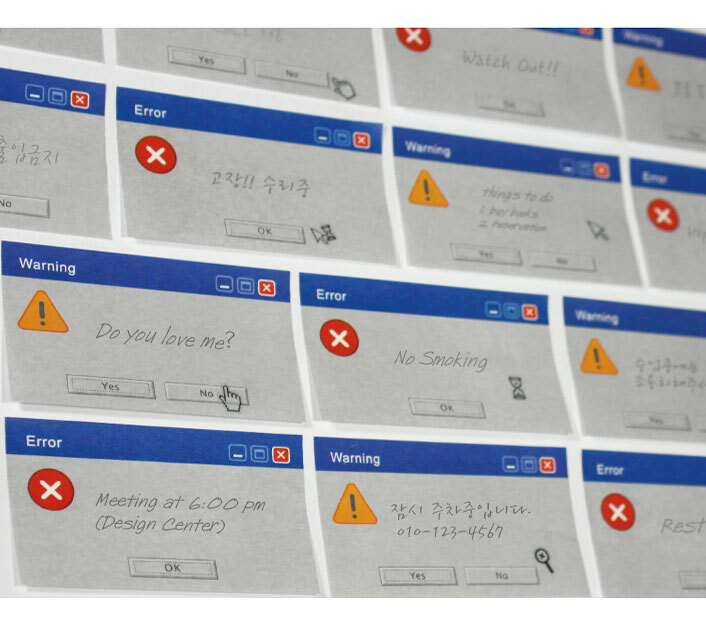 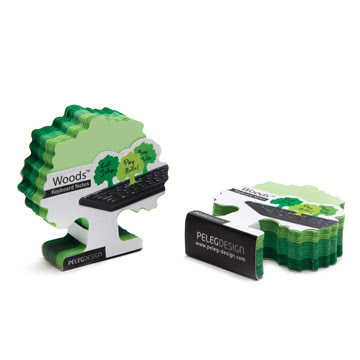 Woods Post-It: These cool keyboard notes are sure to make some great addition to your keyboard. 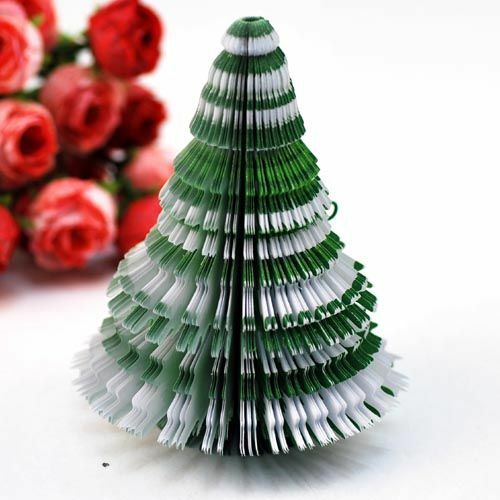 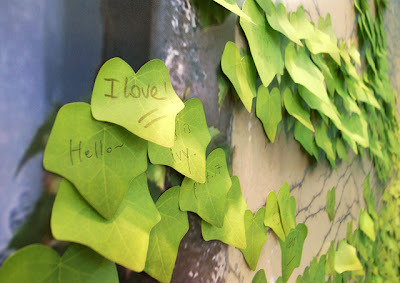 Leaf It: A cool way to grow your own tree with these cool shape sticky notes. 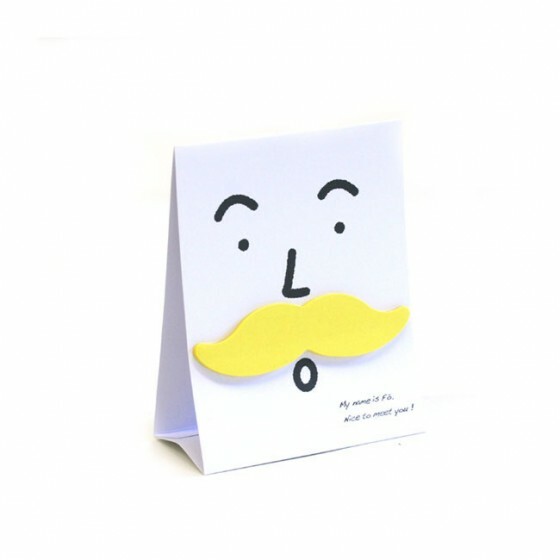 Don't miss to check out "Unique Sticky Notes and Unusual Post It Notes Designs - Part: 1| 2| 3."